Gorgeous 3BR 1,684 sq. Ft. “townhome” is the largest condo in the exclusive Villa Woods gated community. This home has the added benefit of being an end unit w/only one common wall & offers more privacy & a larger secluded patio. A 2-car garage is attached w/direct access into the home, storage & laundry area. 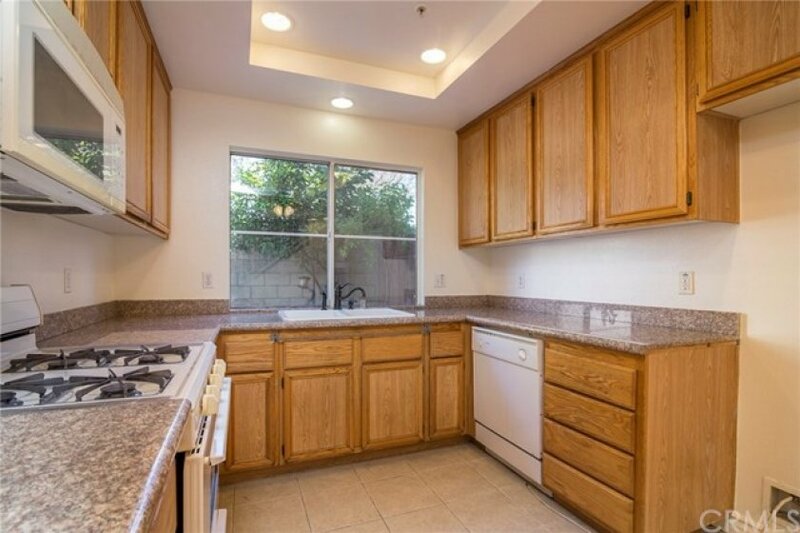 Kitchen is a chef’s delight w/4-burner gas range, granite counters w/an abundance of counter space, built-in microwave, dishwasher, & a profusion of natural light from the window overlooking the patio. Open floor plan of kitchen dining area, & spacious entry foyer & living room which features extra windows unique to this unit, allowing more light into the home. Designer fireplace accentuates the living room along with rich, planked wood floors, recessed lighting and direct access to the back patio. The back patio is enclosed w/a high designer-type block wall, brick planter/accents in the walkway, lush landscaping & is large and private enough for relaxing or entertaining. 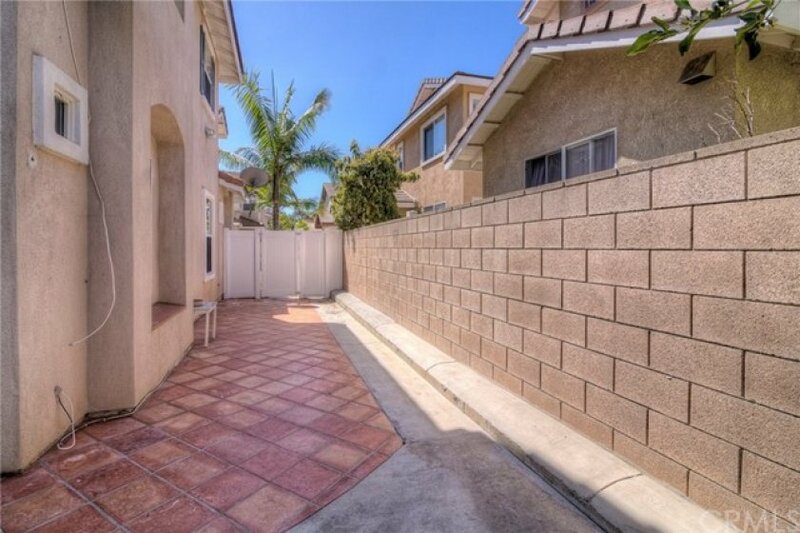 Additionally, there is a smaller side yard unique to this end unit. 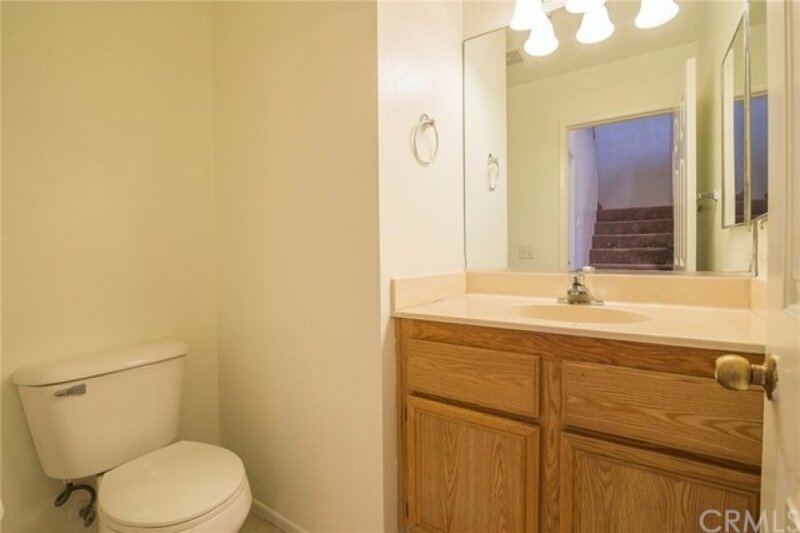 Huge master bedroom suite has walk-in closet, master bath w/dressing area & dual sinks& soaking tub. Two additional upstairs bedrooms sharer a full bath. Large bonus area at the top of the steps can be used for computer station or game “room.” This well-maintained Complex includes Association Pool and Spa and Low Association Dues of only $175 a month. Schools include San Marino, Lexington and prestigious Cypress/Oxford High Schools. Listing provided courtesy of Sam Stapleton-Cotton at Keller Williams Realty.